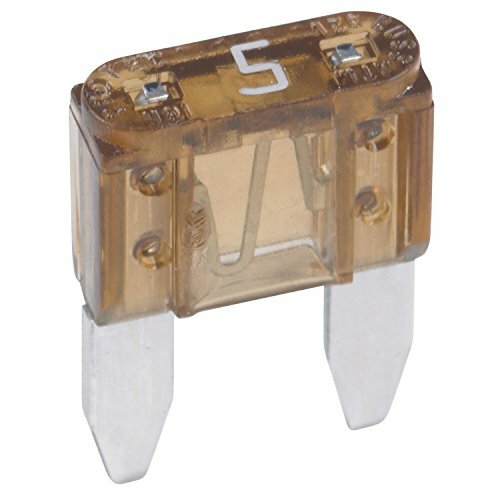 Bussmann ATM Blade Fuse - 5 Amp Rating (Tan). ATM blade fuses are widely used on import and domestic cars, trucks, and SUVs. Features industry standard color-coding to indicate amp rating and an enclosed element for electrical isolation, corrosion resistance, and long service life. UL recognized Bussmann ATM fuses meet or exceed OEM and SAE standards. 5 pack tin. It's been 100 years since the Bussmann brothers first started producing fuses from the basement of their home. And in that time span, Bussmann has grown from providing fuses for horseless carriages and World War II aircraft, to offering more than 30,000 products. From humble beginnings in St. Louis, Missouri, to a global product and distribution network, the Bussmann name is synonymous with technological innovation. In fact, over the past 100 years, Bussmann products have received more than 3,000 utility and design patents, with more than 350 global active patents. Today, Bussmann products continue to reflect a long-standing tradition of providing fusible circuit protection and electrical safety solutions that help protect equipment and enable reliable, efficient power distribution. And now that Bussmann products are part of Eaton, the industry's top innovators of fuse technology and circuit breakers have united to provide ultimate leadership in circuit protection. Our legacy of developing innovative products and solutions stems from a team of highly talented industry experts. We couldn't have secured our position as a leader in circuit protection without our employees, our customers, and our community.